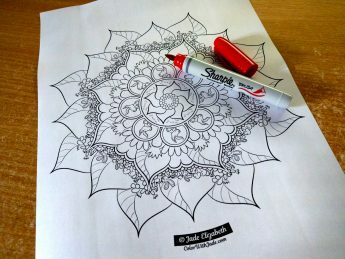 Jumble™ coloring pages are unique to Color With Jade™. They’re made of objects that repeat over the page, allowing you to turn off and color it all the same, make your own pattern, or experiment and color everything differently. It’s interesting how each Jumble™ is so unique once colored in even though they all start with the same uniform layout. Everyone’s finished page turns out really special! 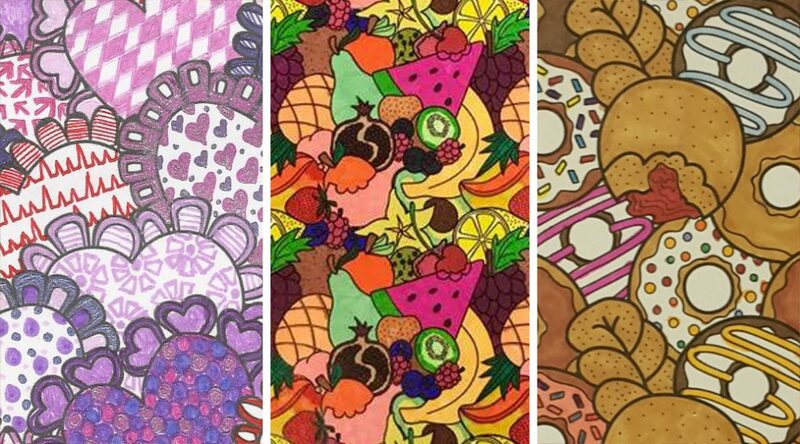 Even if at first they seem daunting, the challenge is worth it in the end…check out these awesome examples colored by Color With Jade™ members! 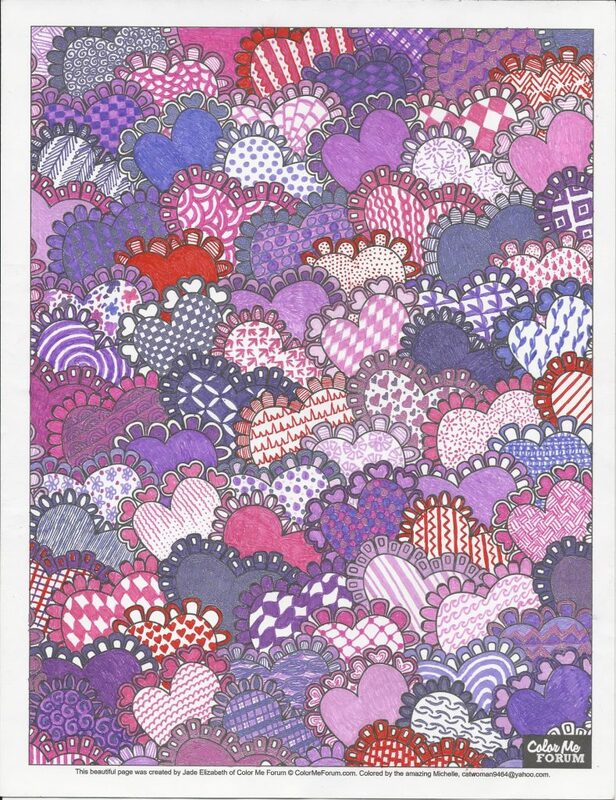 This Hearty Jumble™ colored by Michelle Dawn Cotta-Rickard is a perfect example of how a Jumble™ can be colored creatively. Michelle made each heart unique and it really paid off! 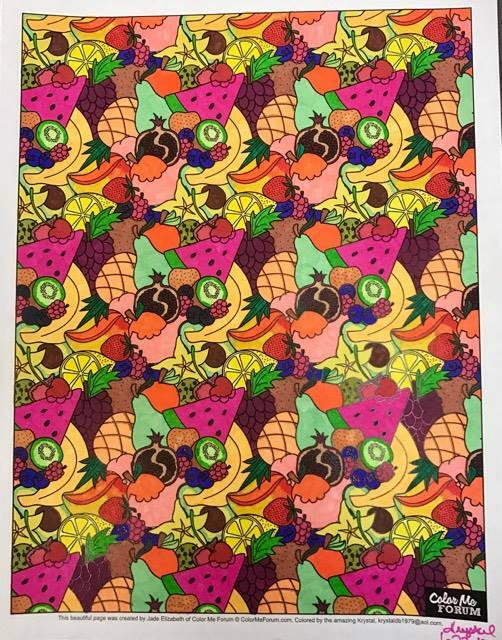 This Feeling Fruity Jumble™ colored by Krystal Beasley is a beautiful show of how a Jumble™ can really come together when each element is colored the same. The uniform colors can really make elements pop! 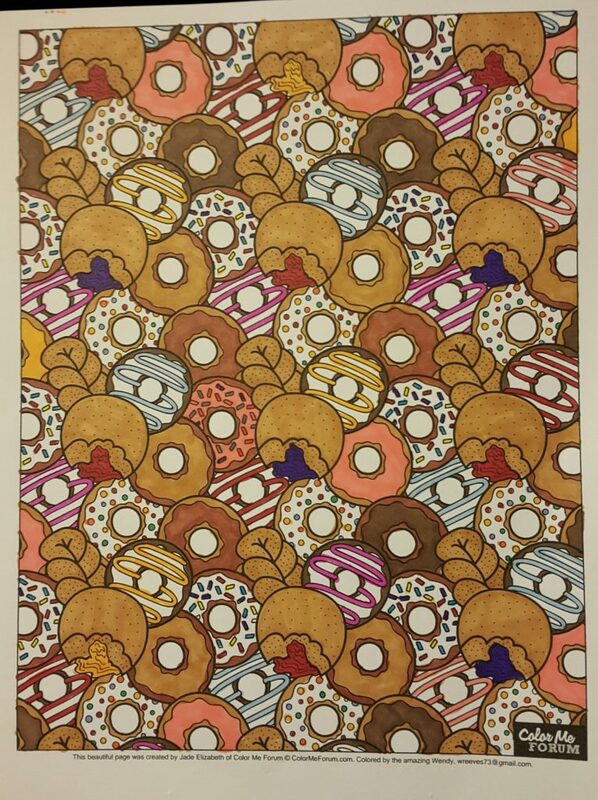 This Go Nuts for Doughnuts Jumble™ colored by Wendy Lynn Criger-Reeves uses its own patterns, giving the illusion of mixed colors. This is really great to help mix up a Jumble™ and make each element look different. How do you color your Color Me Forum™ Jumbles™? What do you think of these three great examples?